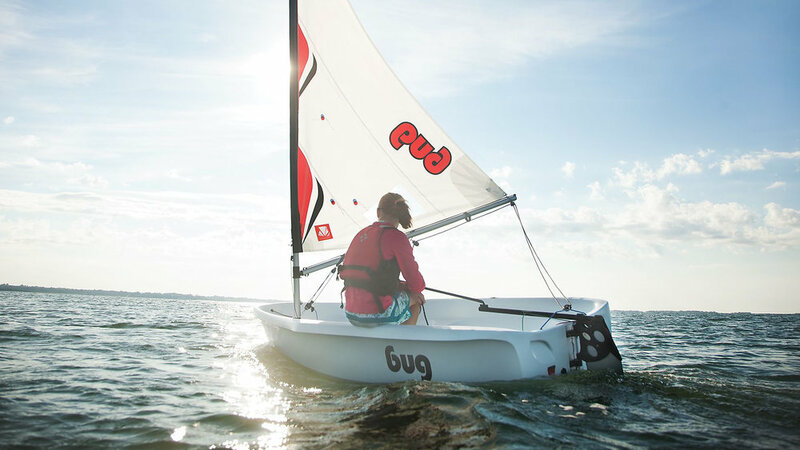 The Bug is a confidence inspiring junior training boat that is highly versatile. She can be sailed, rowed or motored with an optional outboard motor, thus providing the ability to be a trainer, a tender, and adventure boat or a racer. Renowned for its outstanding upwind performance and superior downwind control, it combines performance and style all while maintaining an incredibly stable platform. An exceptional design for those looking to enhance their sailing skills and, if they wish, eventually compete in racing events. 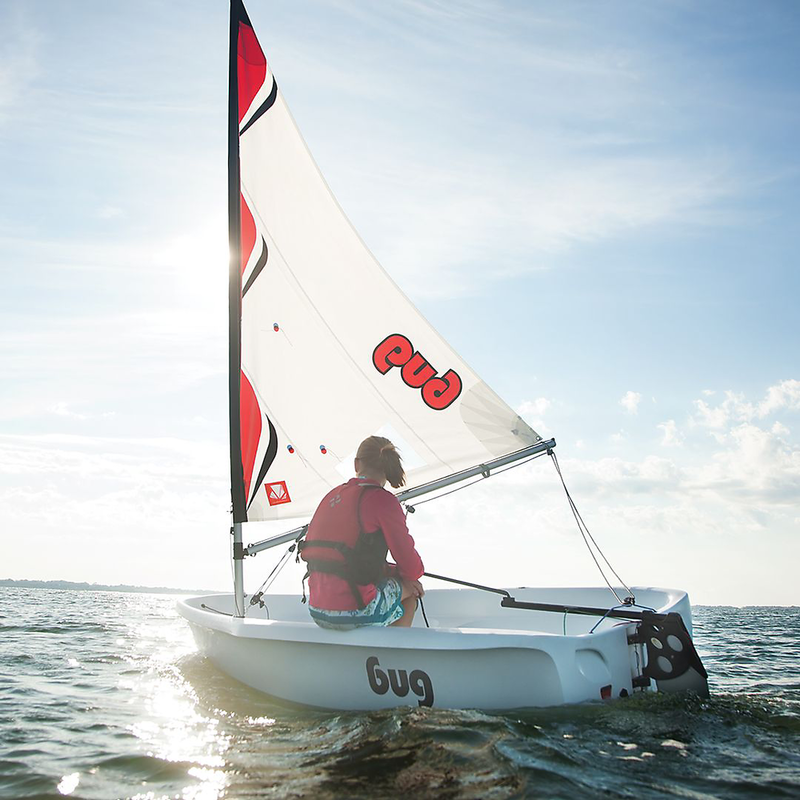 The windsurfer-like agility and quickness will keep your young sailor hooked. What's a BUG? She is a simple, stable, fun; trainer, racer, tender and/or adventure boat that is suitable for sailors of all ages and abilities. The BUG incorporates 3 sail plans that take advantage of different levels of sailor skill and the type of use the sailor is intending to use her for. 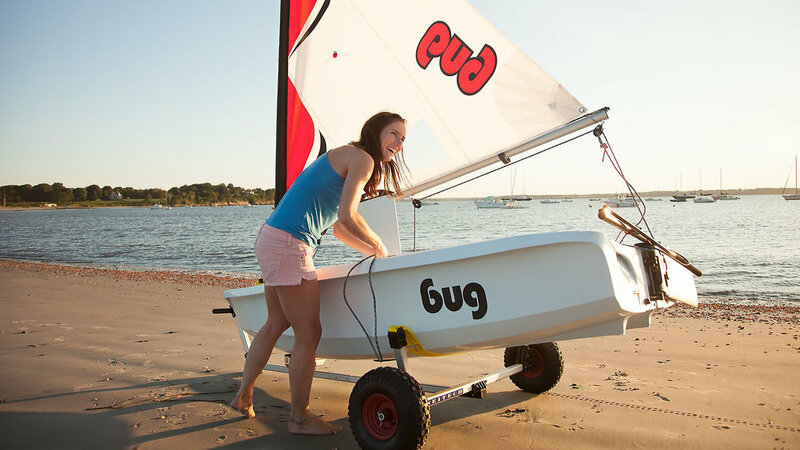 Learning, day sailing or racing, the BUG has what is needed for maximum enjoyment. Unlike any craft in her category, the BUG can be sailed, rowed or motored as her crew requires. She even has an integrated front wheel - so no dolly/trolley is required to move her about on land. 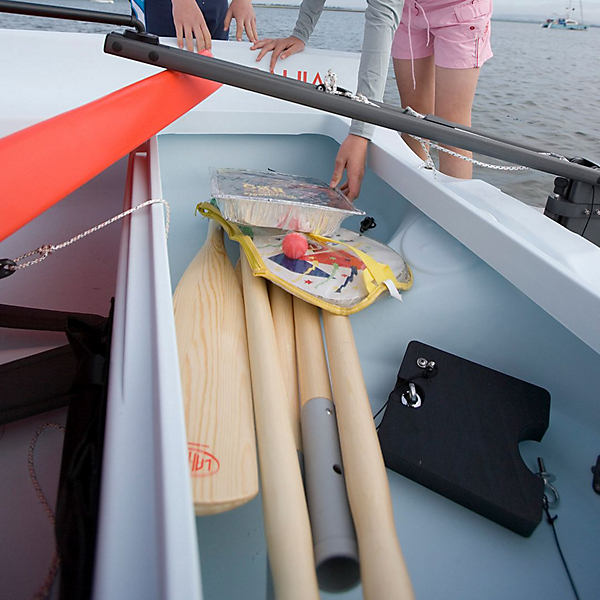 The durable 3 layer roto molded hull absorbs punishment while providing the structural rigidity required of proper sailing boats.